The exhibition has only recently opened, and will be on display through August 10. The Center for Book and Paper Arts Gallery offers visitors to Chicago’s south loop an oasis of quiet escape from the summer heat, crowds, and noise at street level. 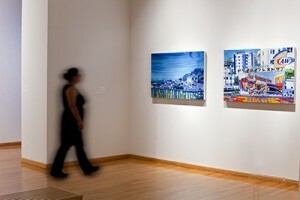 For more information and gallery hours, click here.